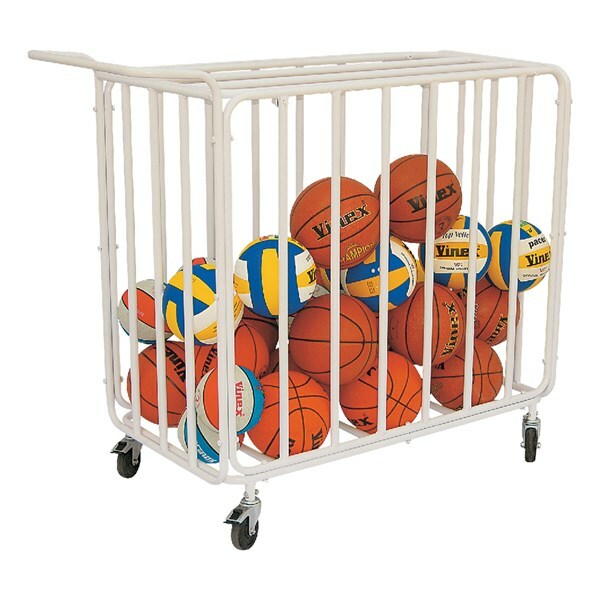 Ball Carrying cage made of heavy duty steel tubes. 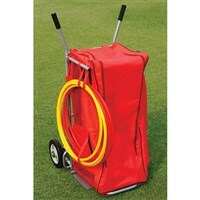 Powder coated for durability with top opening and lockable lid. 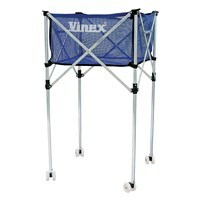 Comes flat packed for economical transportation and storage and can be easily assembled. 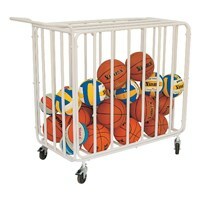 Ball Carrying cage made of heavy duty steel wire. Powder coated for durability with lid option. 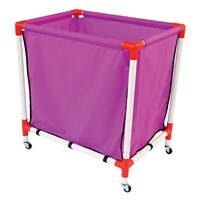 Comes flat packed for economical transportation / storage and easy to assemble. 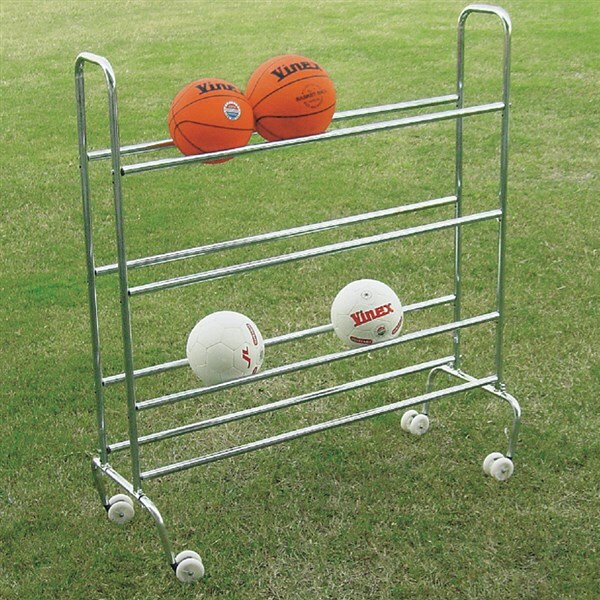 Ball Carrying Cart can be folded & unfolded by a single person. Made of aluminium frame & heavy duty mesh fabric bordered with nylon coloured fabric on top, and comes with strong non marking wheels. 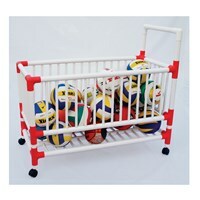 VBCC-100B ...... ...... Ball Carrying Cart can be folded & unfolded by a single person. 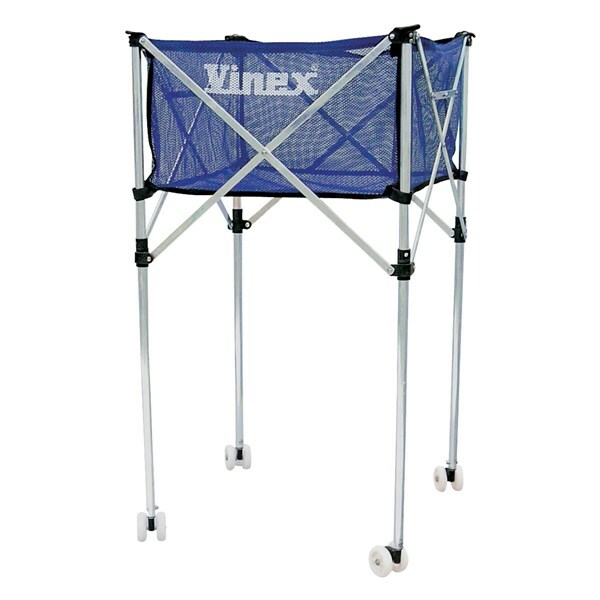 Made of aluminium frame & heavy duty mesh fabric bordered with nylon coloured fabric on top, and comes with strong non marking wheels. VBCC-100 ...... ...... Same as VBCC-100B but without border on top. 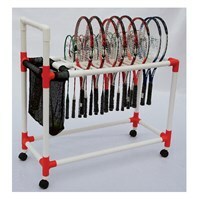 Tennis Ball Carrying Cart made of aluminium frame and heavy duty mesh fabric. 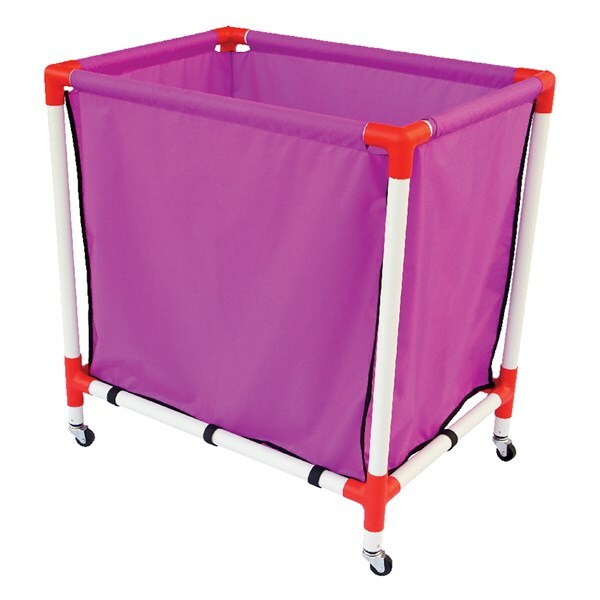 This cart comes with bigger white non-marking wheels (7.5 cm), which not only provide excellent mobility but also allows the cart to be used outdoor. 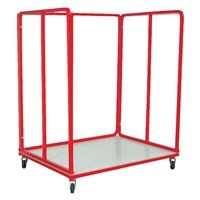 Height of cart : 121 cm. Dimensions: 1.1 m long x 0.85 m wide x 1.2 m high. Foldable in 4 parts for easy transportation. 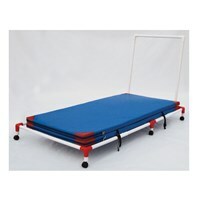 Moveable with the help of 4 wheels 100 mm wide. 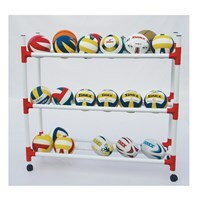 Powder coated for smooth and durable finish. Made of galvanised tubular steel. 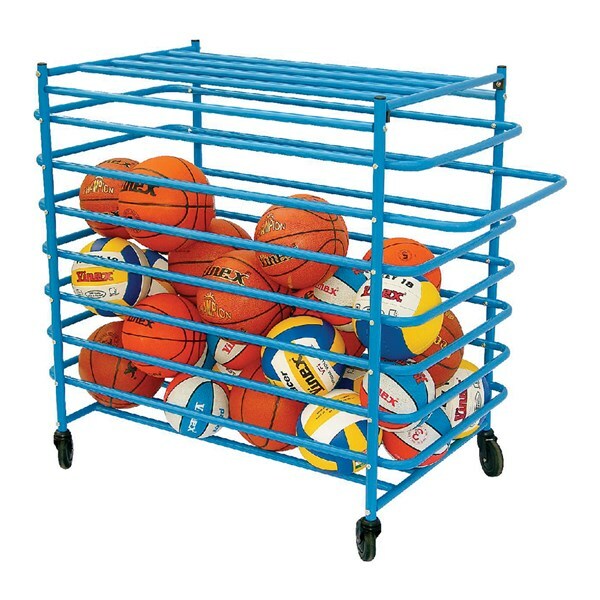 Cart frame made of tubular steel tube and base made of mesh grid. 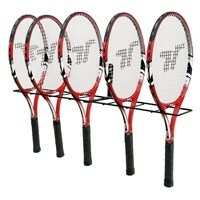 Suitable to carry 12 - 16 Badminton Rackets and Shuttlecocks for easy carriage. 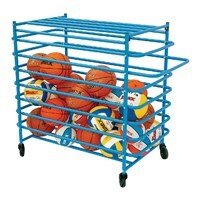 Features powder coating, wheels with locking device. 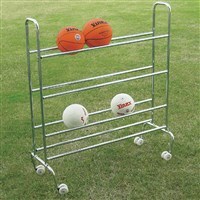 Size: 81 cm x 61 cm x 51 cm. NoteThis can also be customized, please ask for more details. Cart made of SEP and high impact plastic jointer. The cart has no sharp edges for added safety in school. 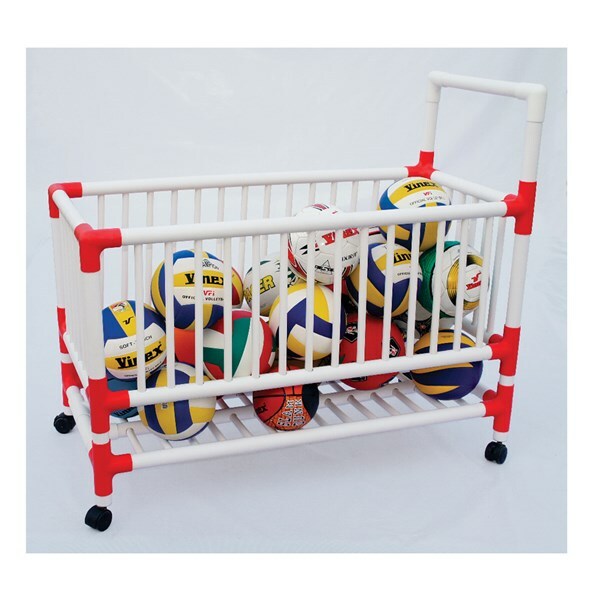 Durable plastic with light polyester bag to carry light weight balls. Can be easily moved from one place to another. Swivel casters provide smooth mobility in any direction. VBCT-1007010 ...... ...... 1 pc. Cart made of SEP poles & high impact plastic jointer. The cart has no sharp edges for added safety in school. 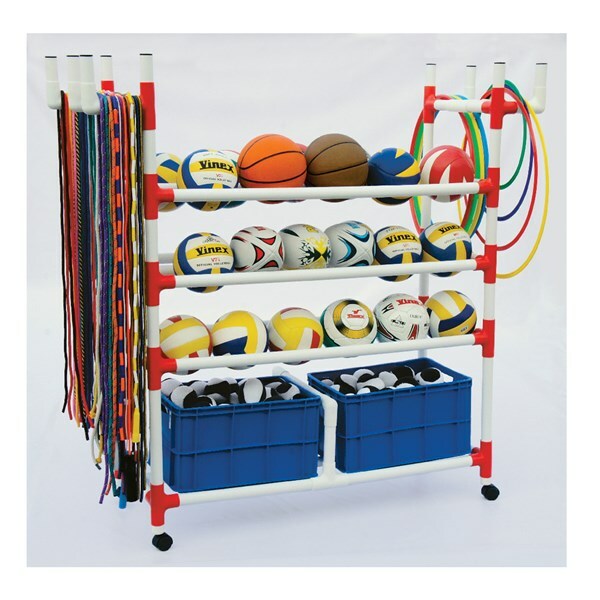 This is a perfect indoor cart that can be used for storing as well as a transporting up to 20 soccer balls, basketballs, jump ropes, hula hoop and more. Locking Swivel casters provide smooth mobility in any direction. Note: Size can also be customized, please ask for more details. Cart made of SEP poles & high impact plastic jointer. The cart has no sharp edges for added safety in school. 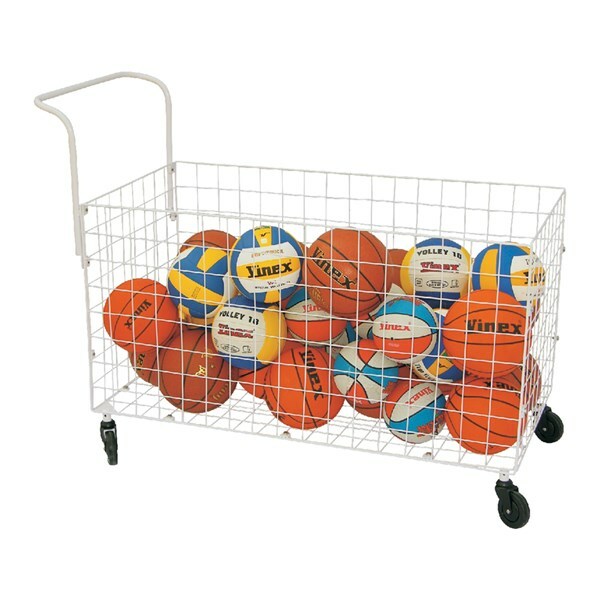 This is a perfect indoor cart that can be used for storing as well as transporting wide assortments of balls. Can be easily moved from one place to another. Locking Swivel casters provide smooth mobility in any direction. Cart made of SEP poles & high impact plastic jointer. The cart has no sharp edges for added safety in school. 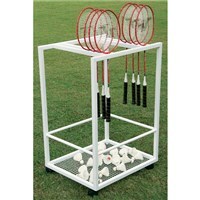 Durable plastic bottom board will hold and transport all kind of balls in bulk. Lightweight cart can be easily moved by one person. Swivel casters provide smooth mobility in any direction. Cart made of SEP poles & high impact plastic jointer. The cart has no sharp edges for added safety in school. 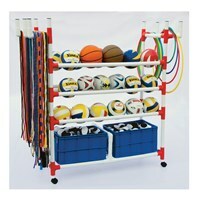 Cart will hold and transport all kinds of gym mats. 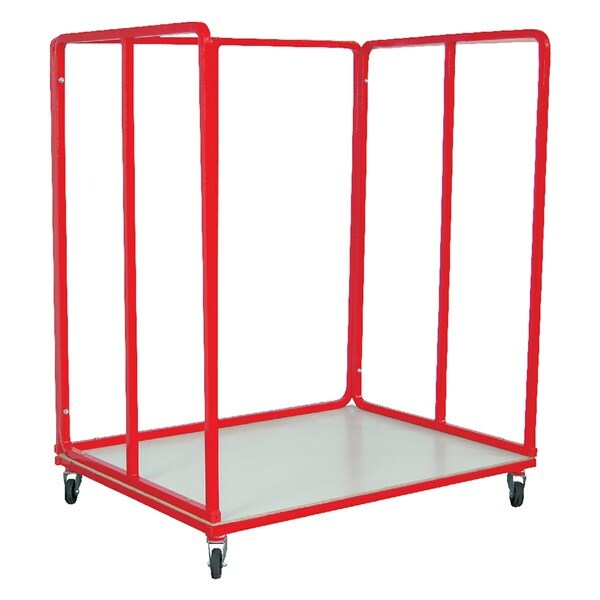 Lightweight cart, can be easily moved by one person. Swivel casters provides smooth mobility in any direction. 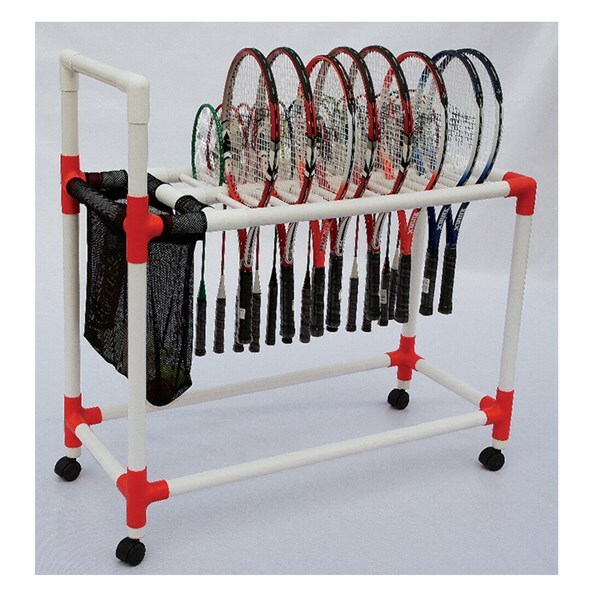 Cart made of SEP poles & high impact plastic hointer. The cart has no sharp edges for added safety in school. 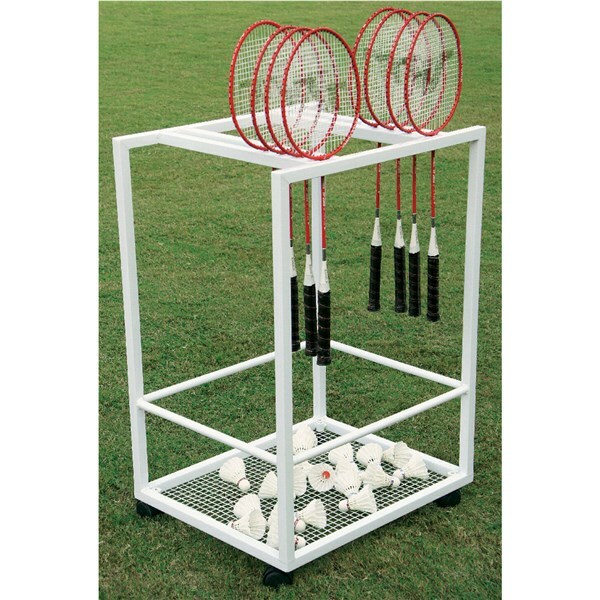 This is a perfect indore cart that can be used for storing as well as transporting up to 40-60 Badminton or Tennis rackets of all types along with large polyester bag for storing tennis balls, shuttlecocks and other accessories. Locking Swivel casters provide smooth mobility in any direction. Cart made of SEP poles & high impact plastic jointer. The cart has no sharp edges for added safety in school. 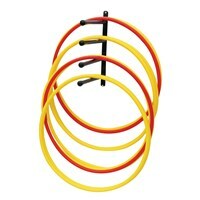 It can store and transport s over 150 ropes and hoops. 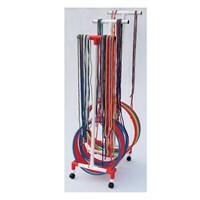 Poles heights of 56" , 62" and 68" allow children and elder to easily access the correct size skipping ropes. Lightweight cart, can be easily moved by one person. Swivel casters provide smooth mobility in any direction. 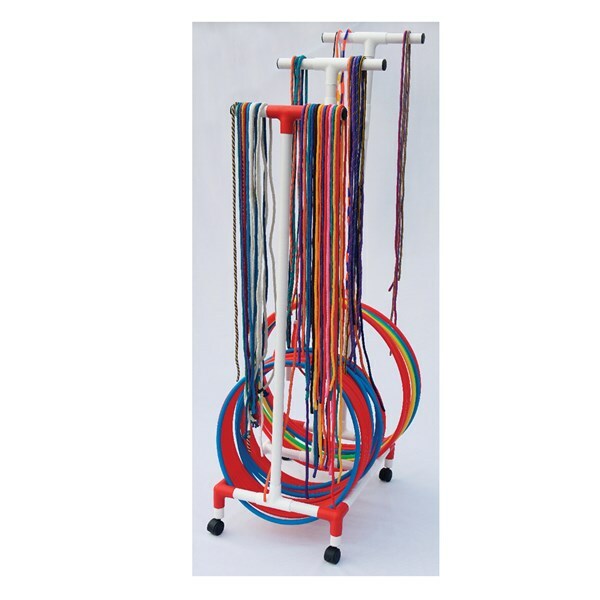 Trolley made of tubular steel. 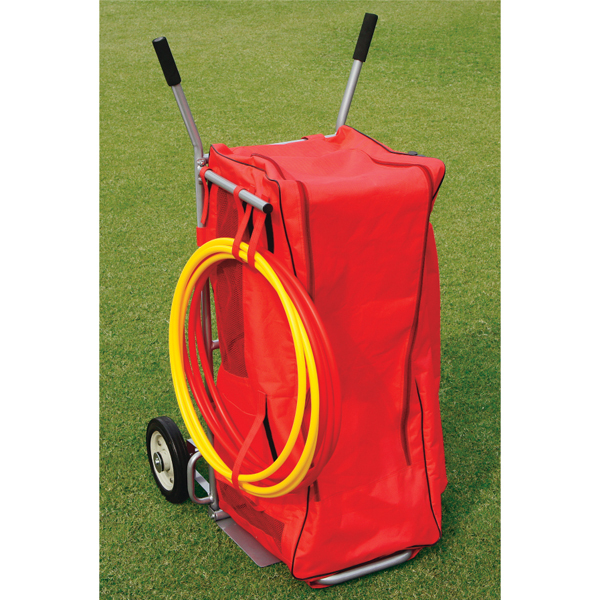 Powder coated for durability with detachable heavy duty polyester fabric bag to hold balls, hula hoops & share poles. Made of tubular steel. 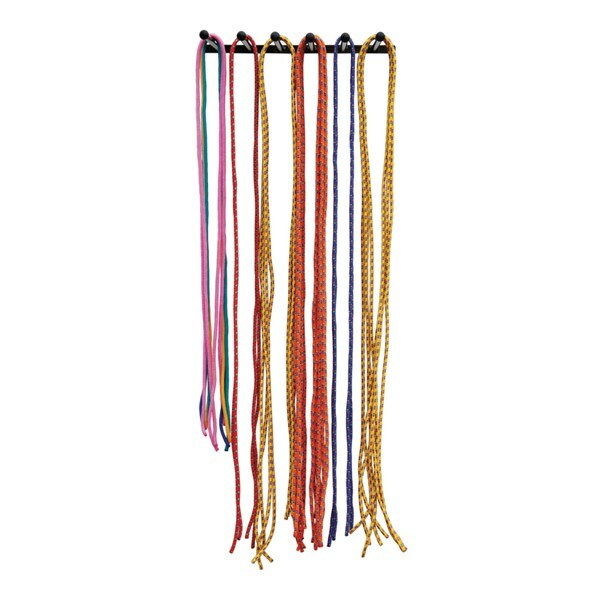 Powder coated for durability & come with plastic protectors for safety & mount easily on any wall. 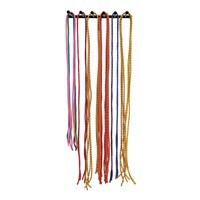 Can carry upto 100 skipping rope. Made of tubular steel. 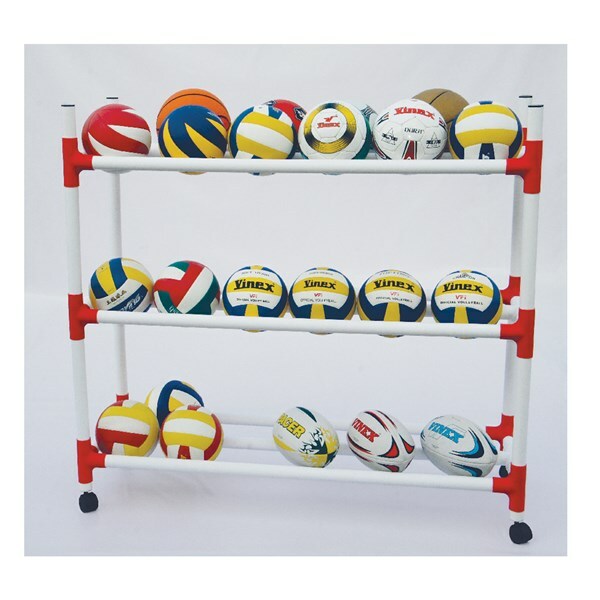 Powder coated for durability & comes with plastic protectors for safety. Mount easily on any wall. 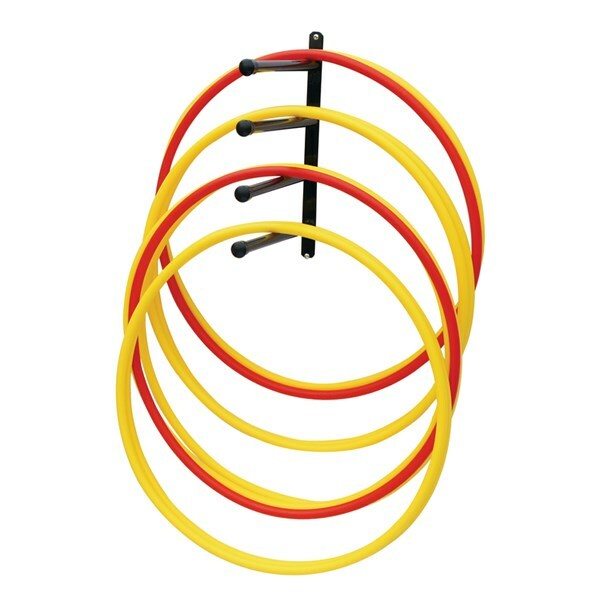 Can carry upto 100 hula hoops. Made of steel wire. 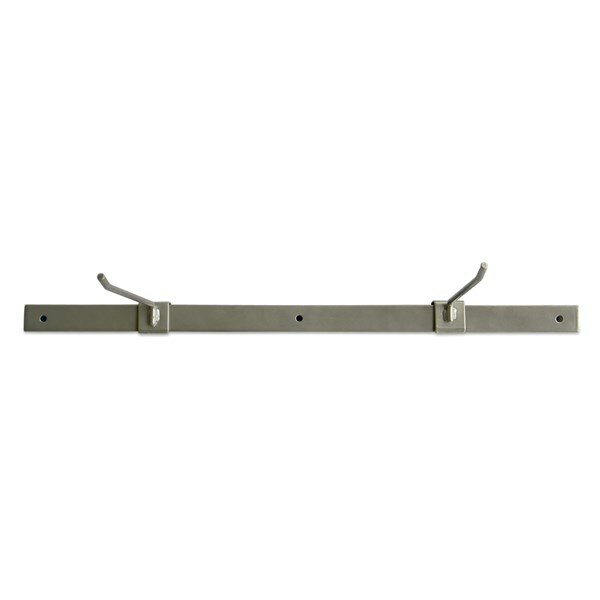 Powder coating for durability & mount easily on any wall. 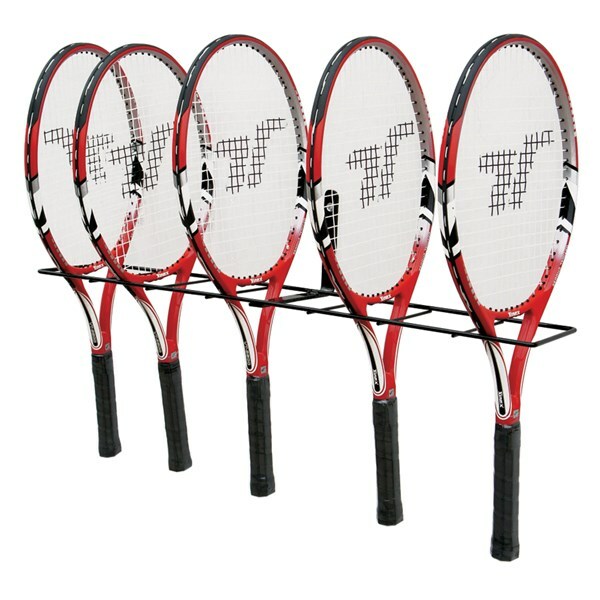 Allowing up to 20 rackets to be stored in hanging style.